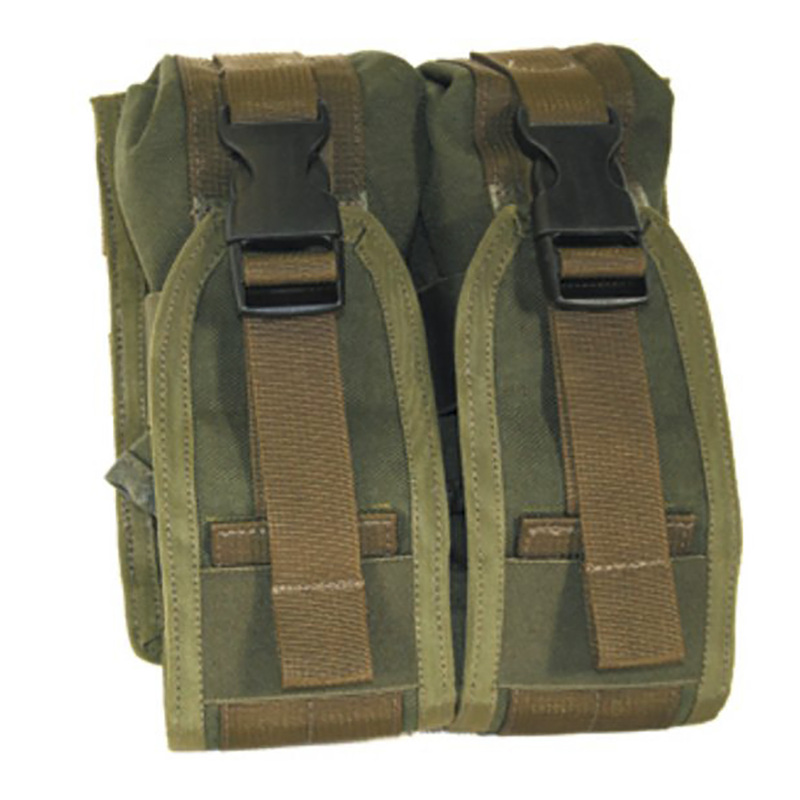 This pouch uses MOLLE attachment, and can be worn upside down to minimize movement while reloading, increasing efficiency and speed. Two magazines in each pouch are held in place by elastic inside and outside of the pouch until needed. Both pouches are reinforced with Type 4 webbing, and utilize hook & loop closure and a 1- inch side release buckle for extra security. Side release buckle can be stowed out of the way, requiring the operator to simply pull down on the lid for quicker access in a tactical environment.